SHOEBACCA is the online premier shopping destination, providing quality and style for the price-conscious shopper with an extensive selection of "must have deals" on footwear and apparel. For customer service inquiries or to initiate a return, please contact Shoebacca at cs@shoebacca.com or (888) 446-1788. You can initiate a return for new and unopened items within 90 days of delivery for a refund. To qualify for a refund, items must be in new and unused condition with all original materials and/or accessories. If a return is not received at our processing facility within 30 days, it may be subject to a partial refund. You will be responsible for return shipping costs. However, if the return is a result of a fulfillment error, product defect, or damage incurred during shipping, we will refund the full cost of the merchandise. We will provide a pre-paid return shipping label for Non-Buyer's Remorse returns. All returns are subject to inspection, and if found not to be an error on our part, the return shipping costs will be withheld from your refund. SPECIAL RETURNS INSTRUCTIONS: Once the seller approves the returns request, they will provide a Returns Merchandise Authorization. The Seller cannot accept returns for used items. 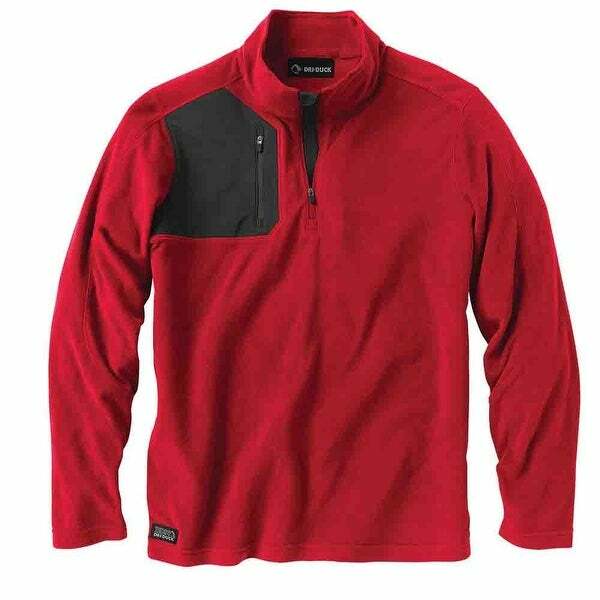 A No-fuss Pullover Fleece That’s Comfortable, Warm And Designed To Look Sharp Years Down The Line. It’s Built From Our Antistatic Nanofleece, Designed To Repel Pet Hair And Prevent Static Cling And Shock. Nanofleece Is Also Resistant Against Pills, So The Interval Won’t Ball Up After A Few Times In The Wash. Cut To Have Ample Room For Layers Without Excess Slack. Its Upper Right Chest Offers A Security Pocket For Your Phone, Keys And Other Necessities.